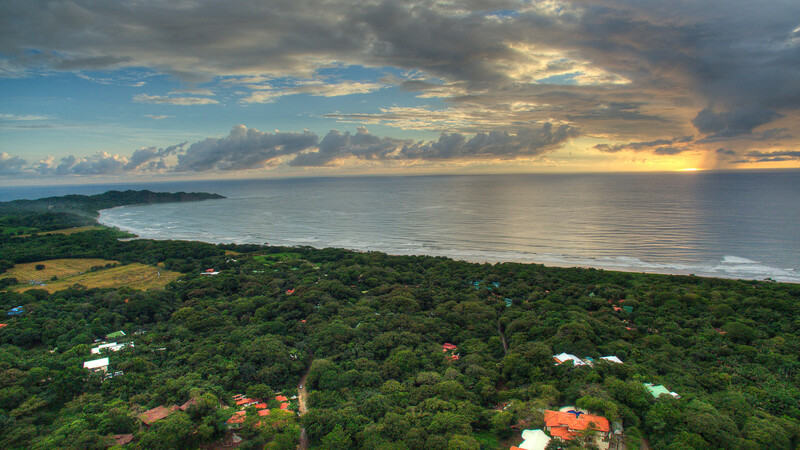 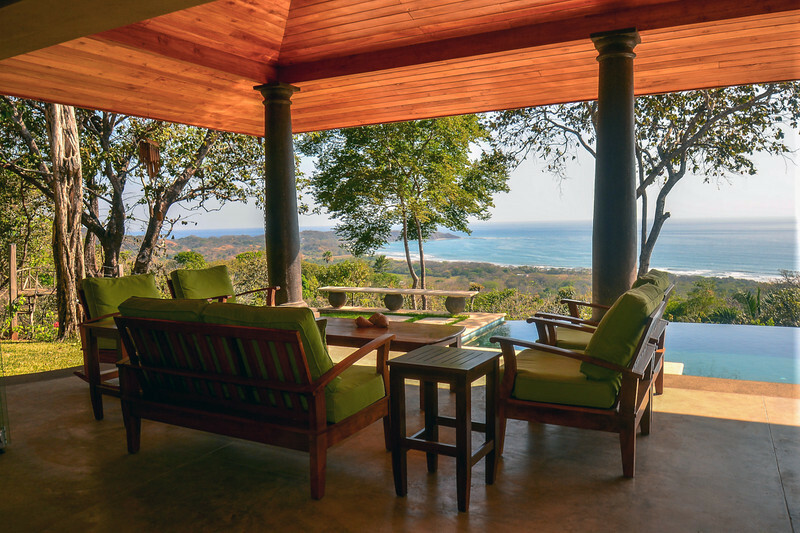 Shangri La is perched at the top of Nosara’s most desired community, ‘Las Huacas’, overlooking Playa Guiones and the Pacific Ocean. 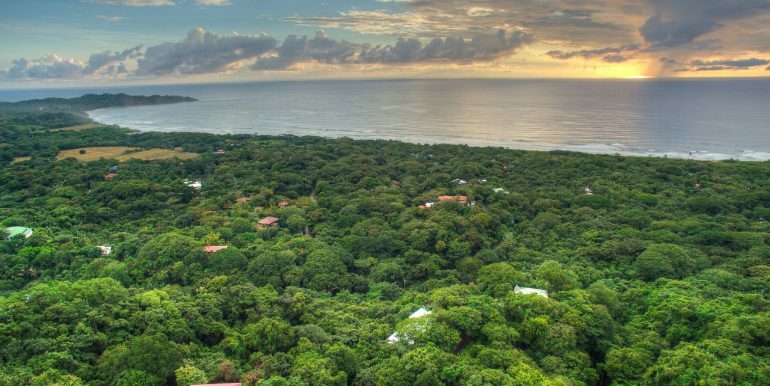 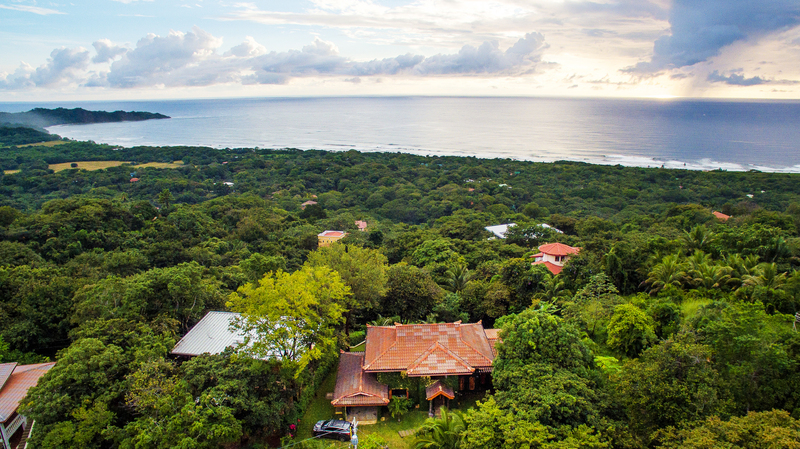 Nothing short of spectacular, the panoramic views encompass the expansive beach and its breaking waves, distant reefs, Punta Guiones, and breathtaking sunsets. 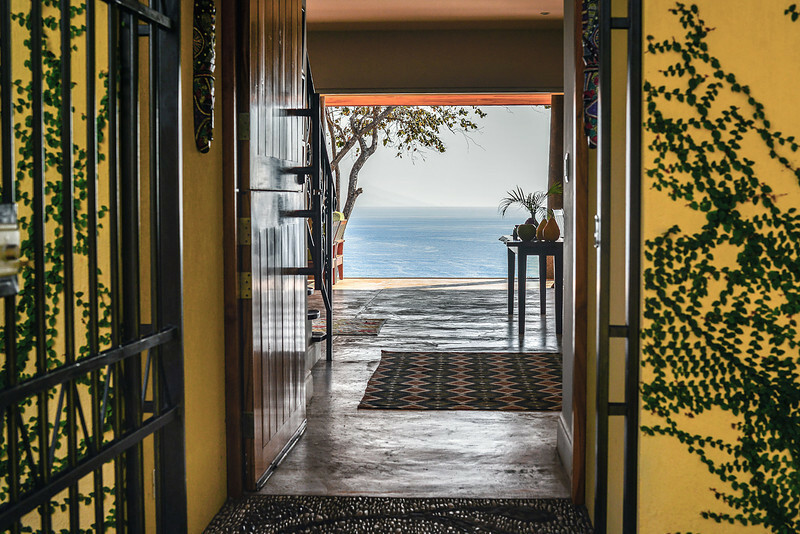 This custom built beauty captures miles of blue ocean from the moment you enter. 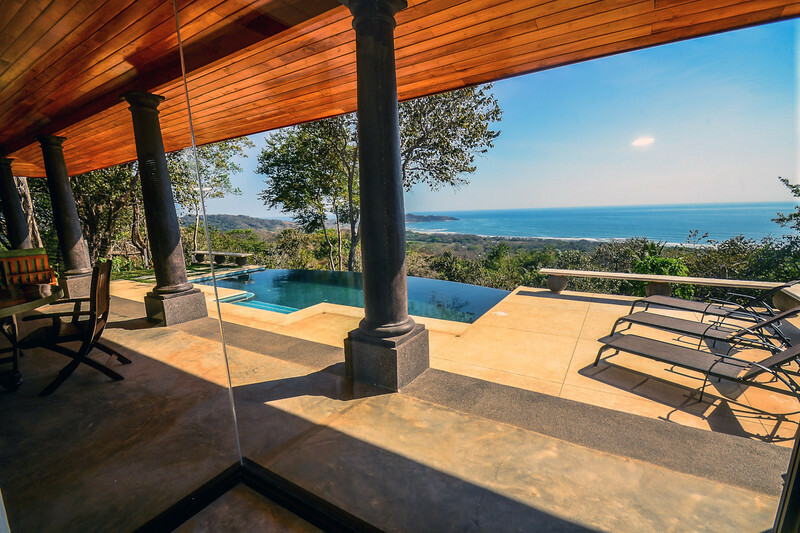 The kitchen, dining room and family room have collapsible walls of glass that open to an expansive covered patio and infinity pool. 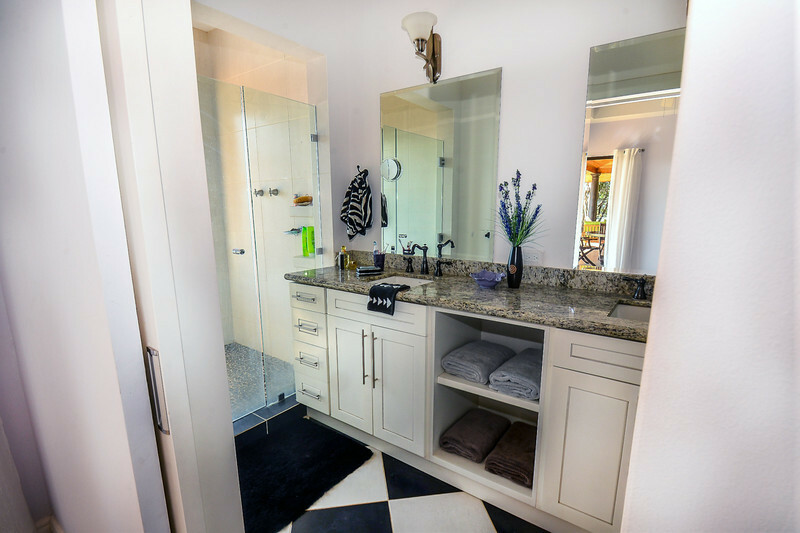 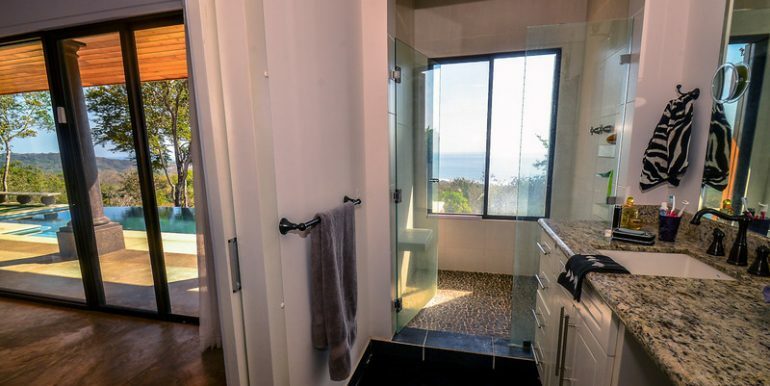 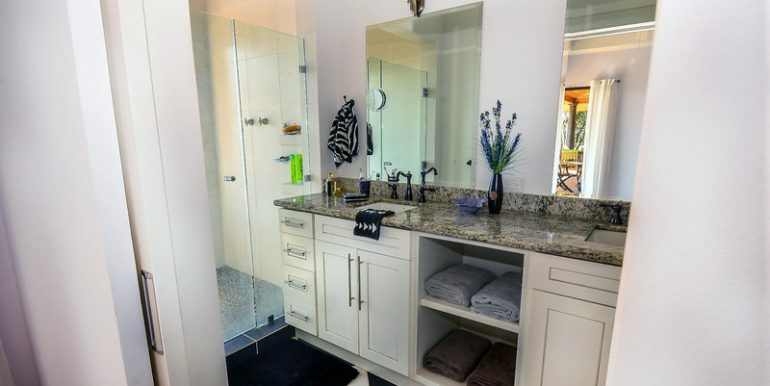 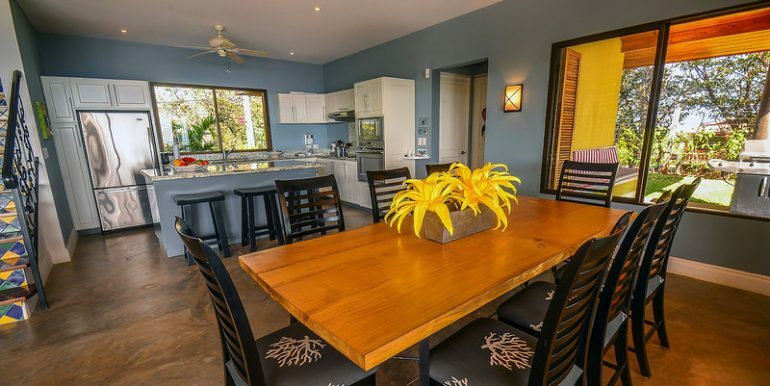 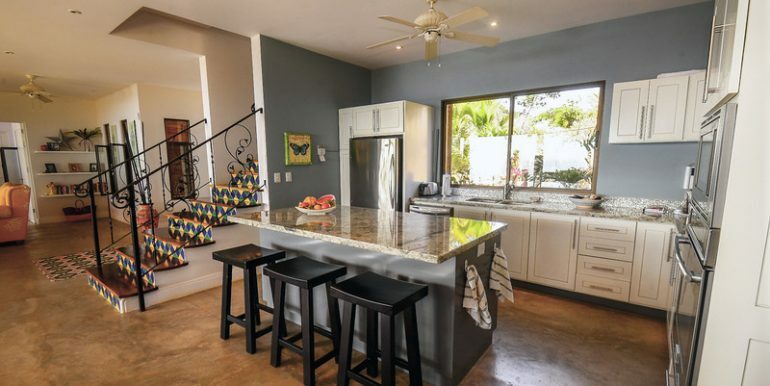 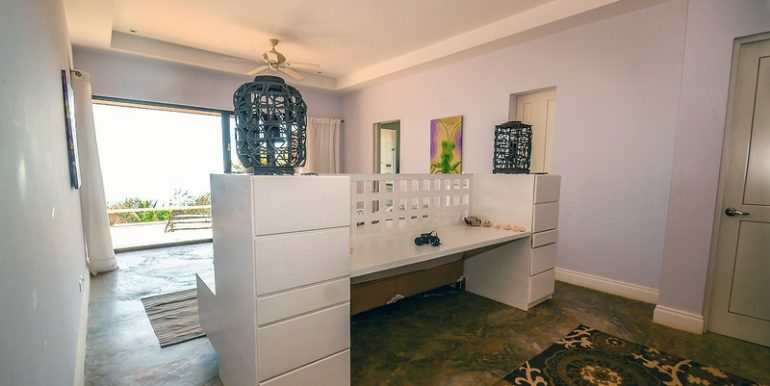 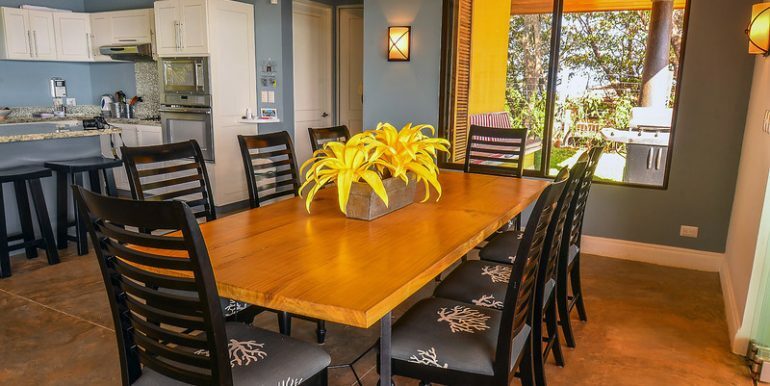 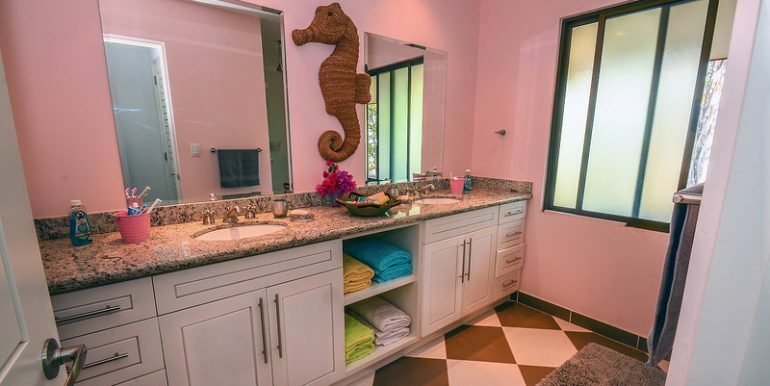 This designer home measures over 3700 square feet with 4 bedrooms and 3.5 bathrooms. 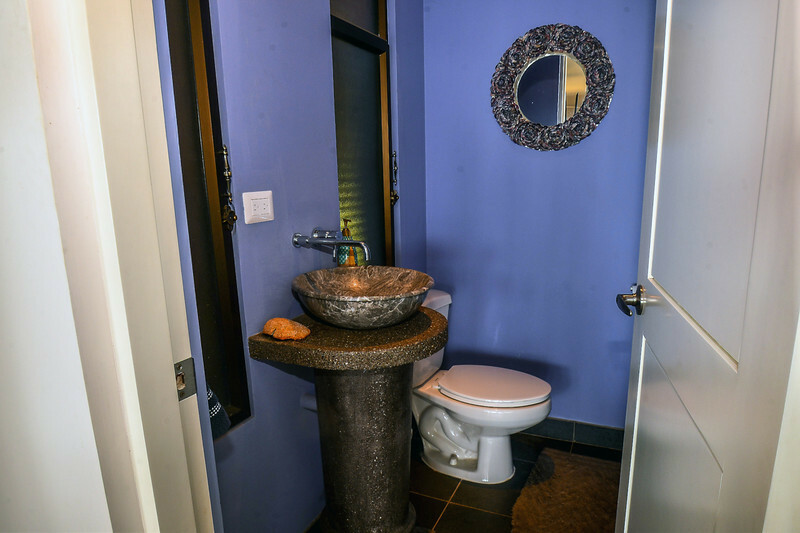 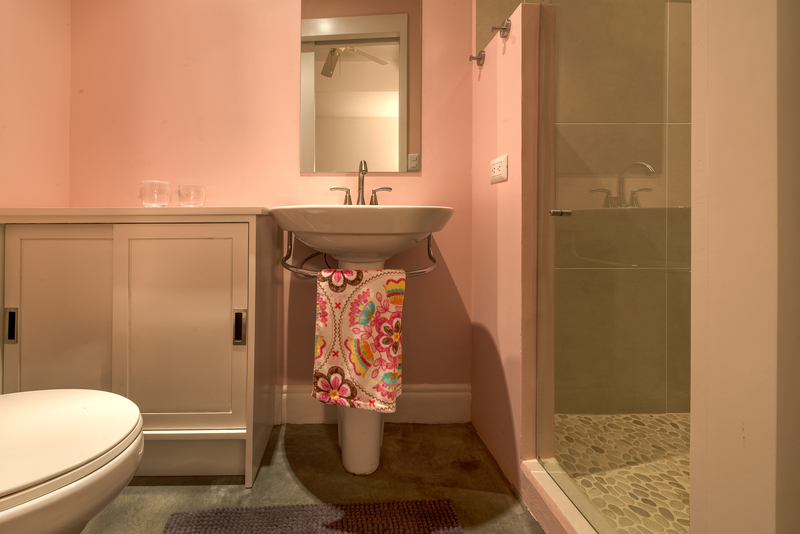 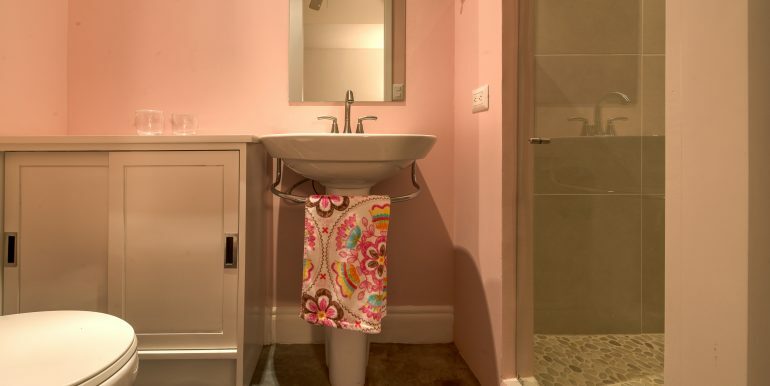 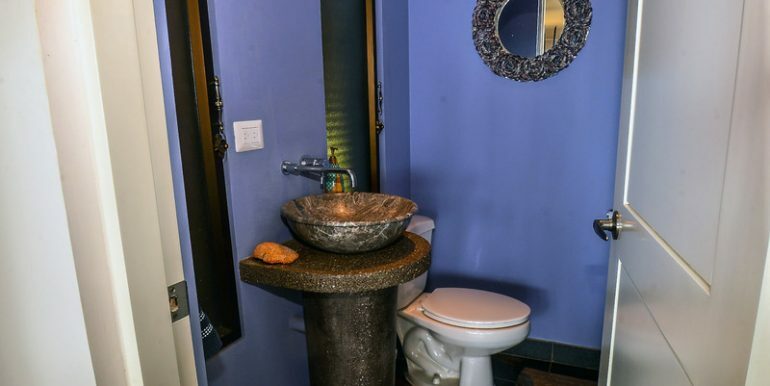 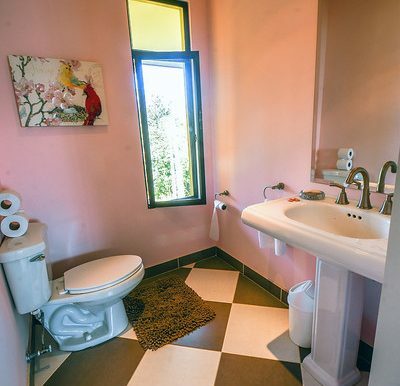 It is tastefully furnished and equipped for your immediate use and enjoyment. 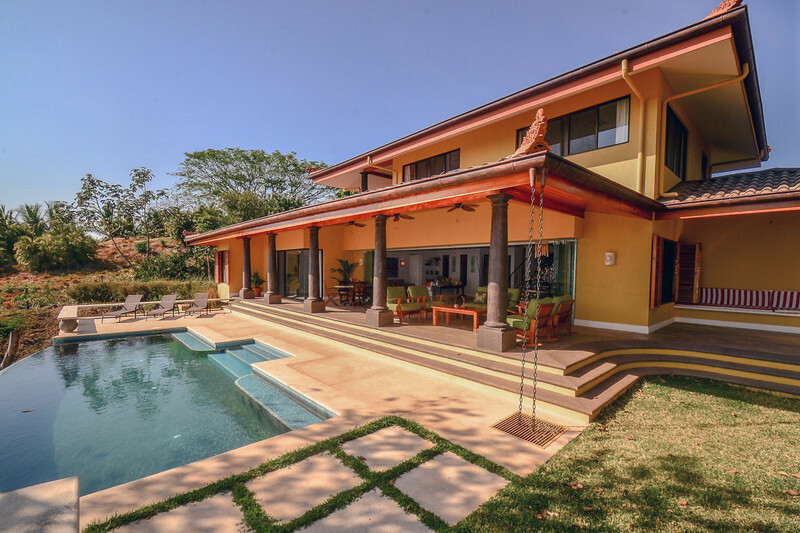 The patio features an extended roofline, keeping the house and its occupants cool during the day and makes lounging outside possible even in rainy weather. 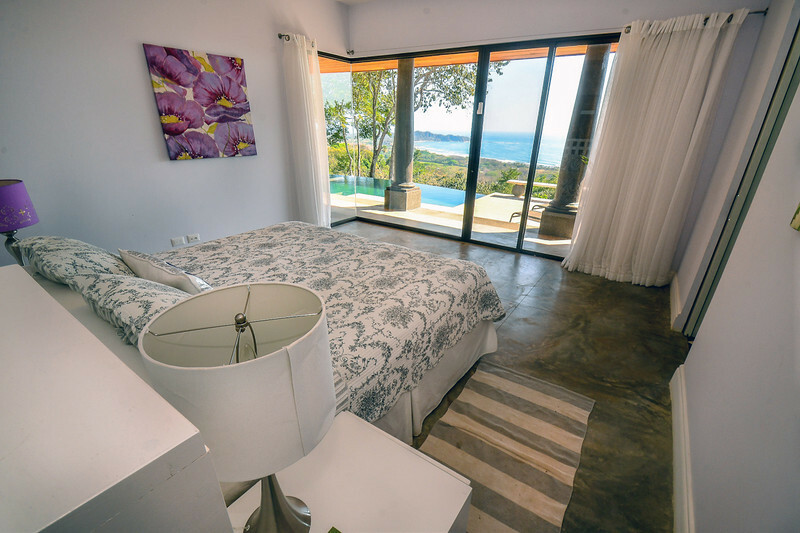 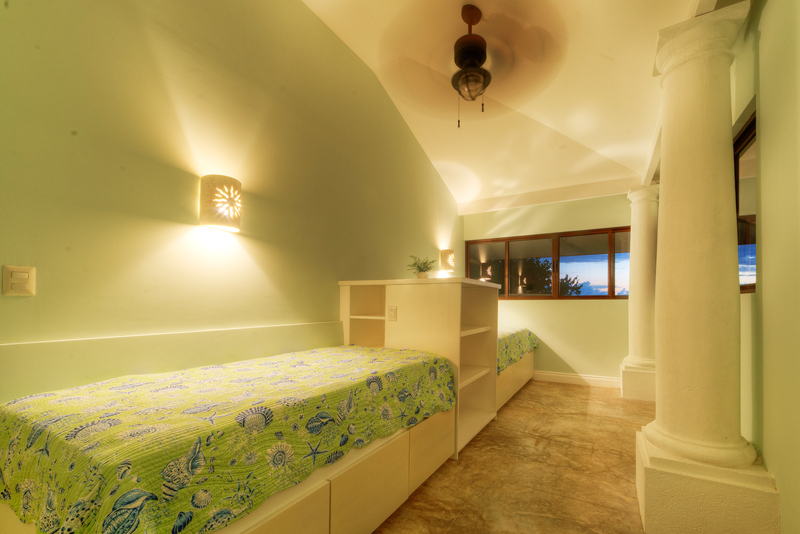 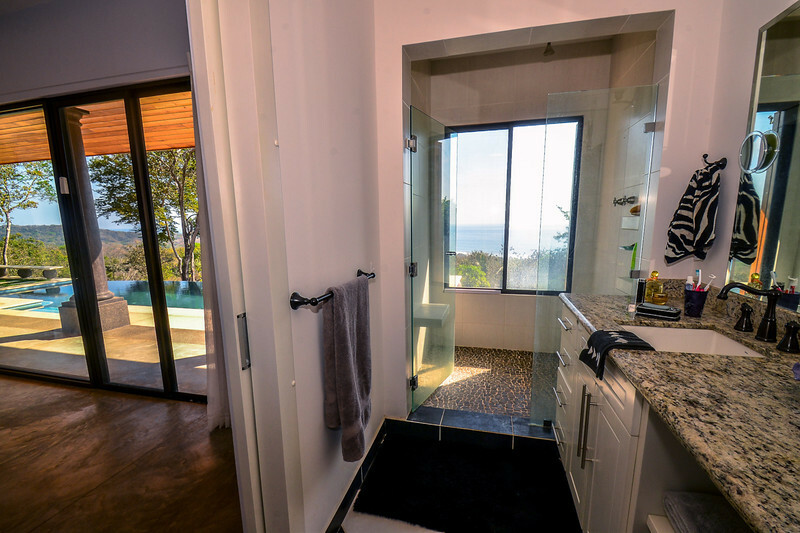 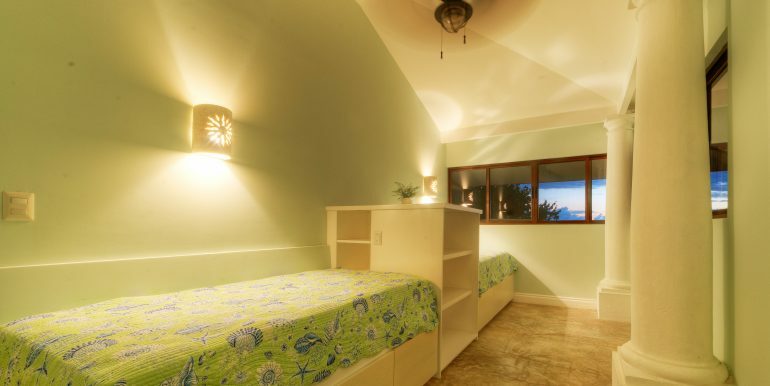 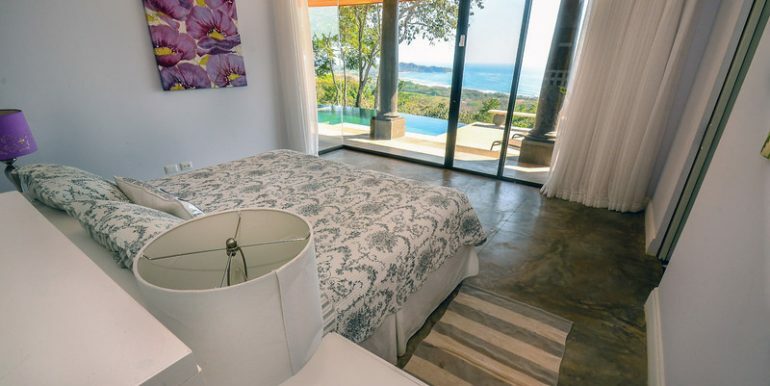 From the master bedroom, you will awaken to glorious views of the ocean each morning. 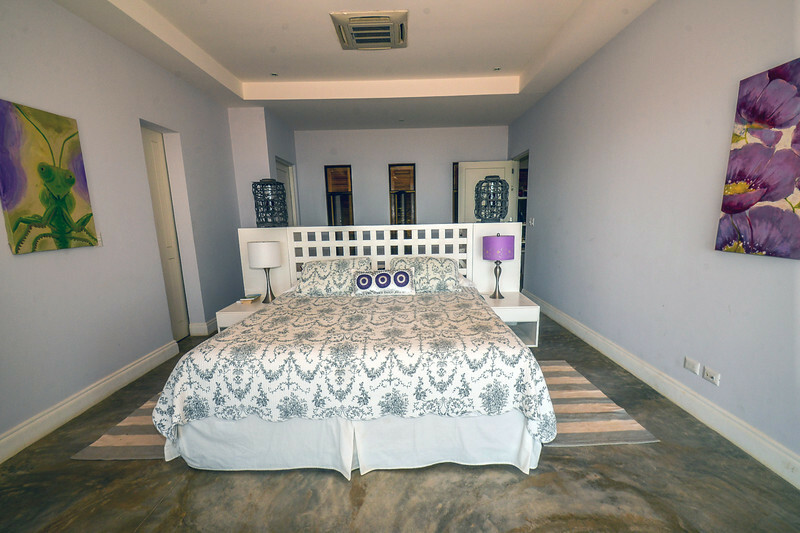 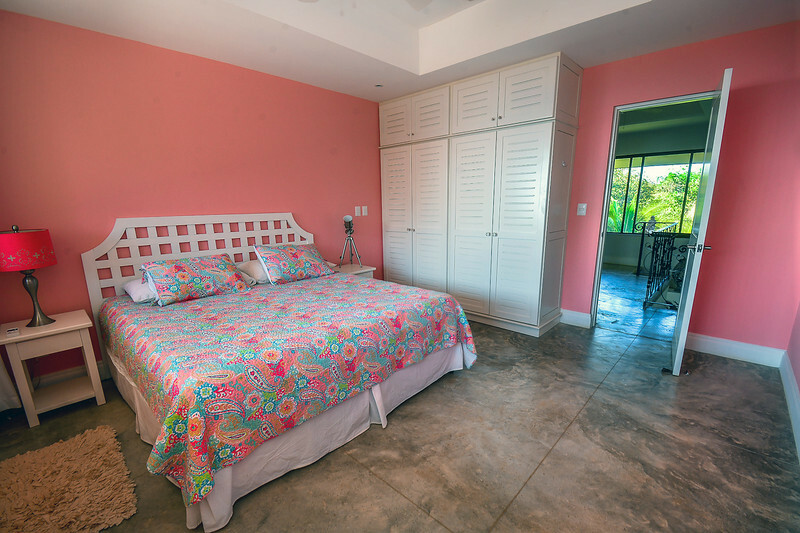 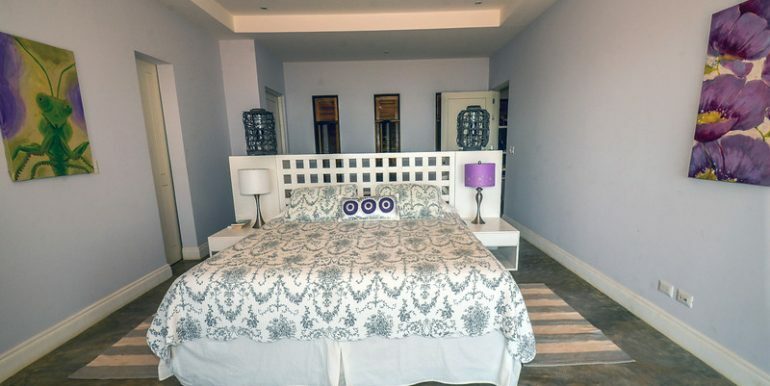 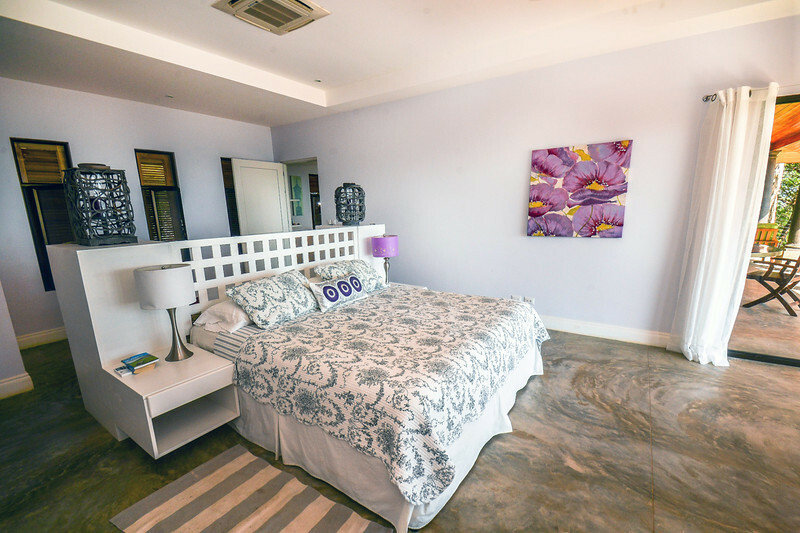 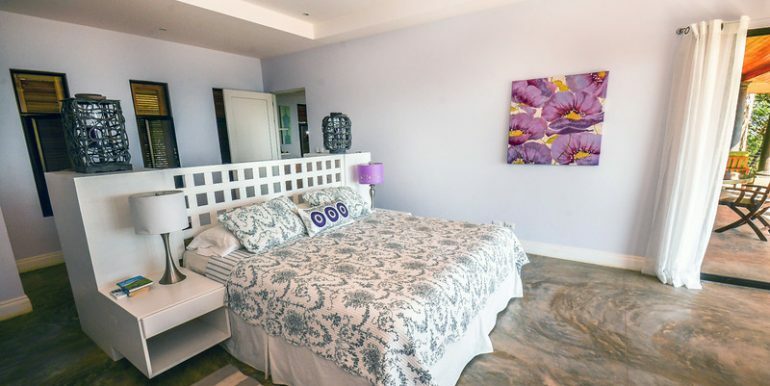 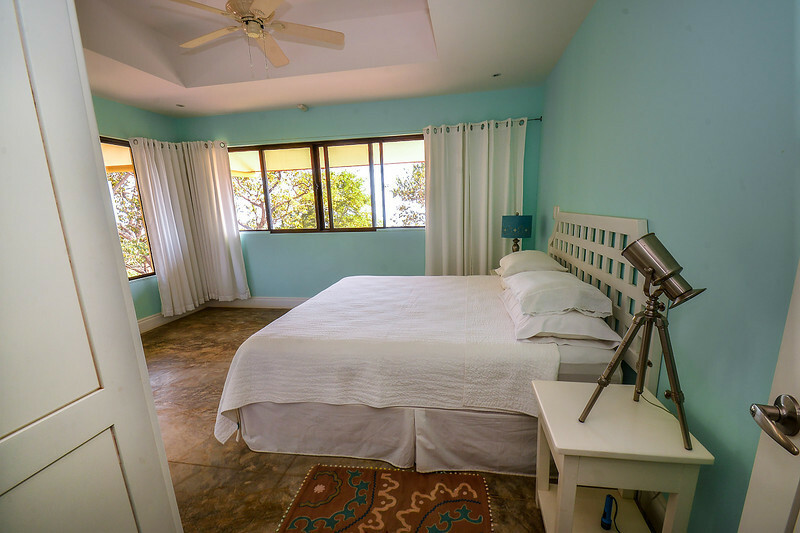 The second floor has 3 spacious bedrooms and 2 bathrooms and, you are hereby forewarned, your guests will not want to leave. 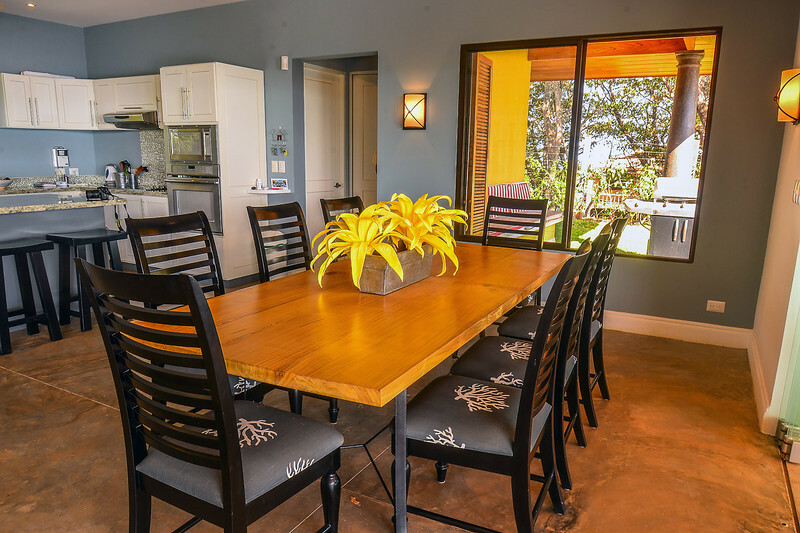 Additional attractive features include mature landscaping, smart security, a garage, and good storage. 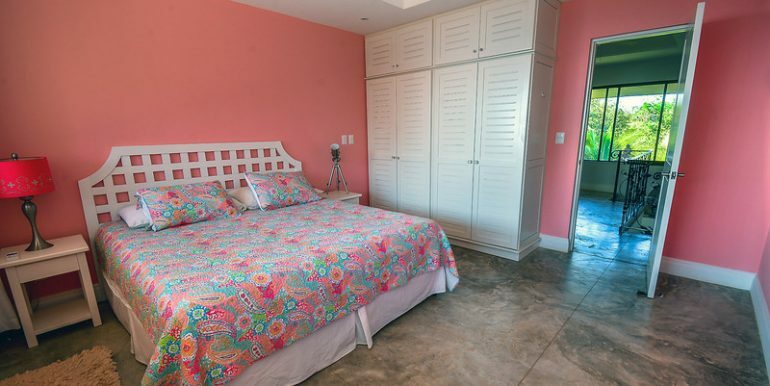 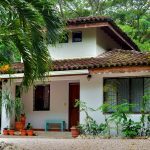 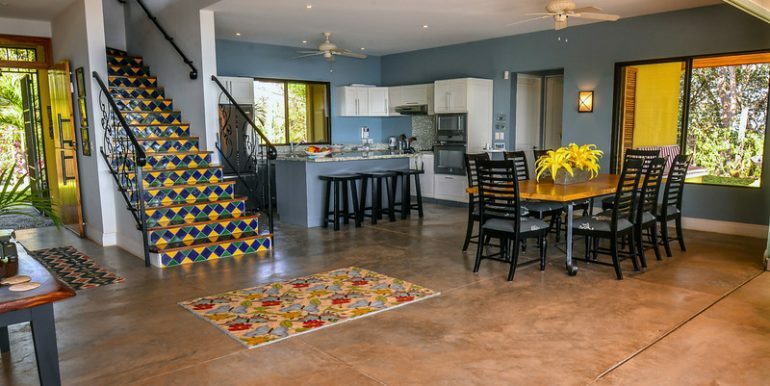 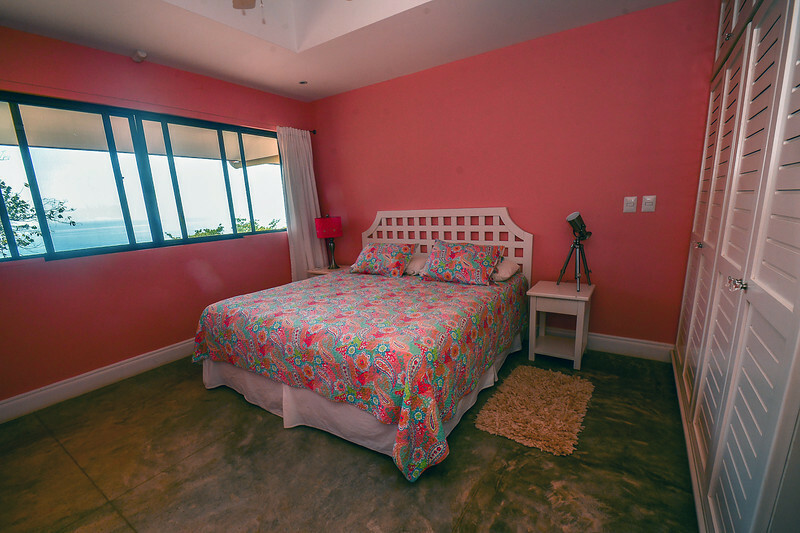 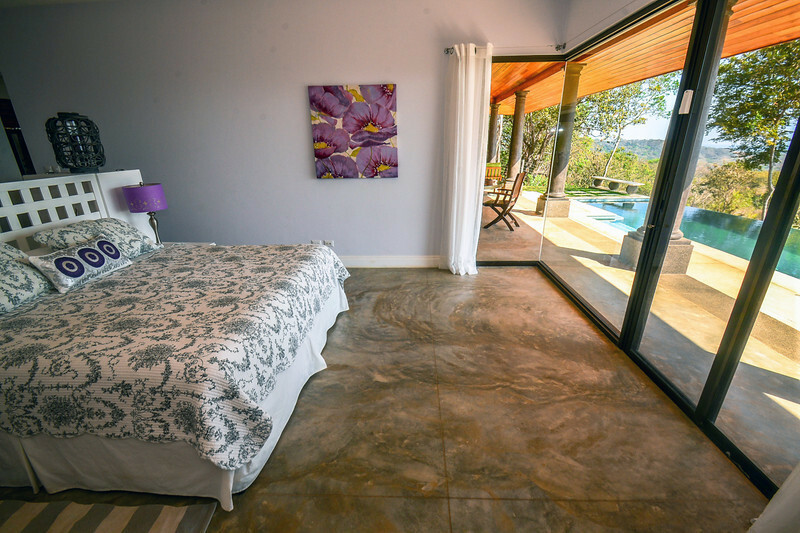 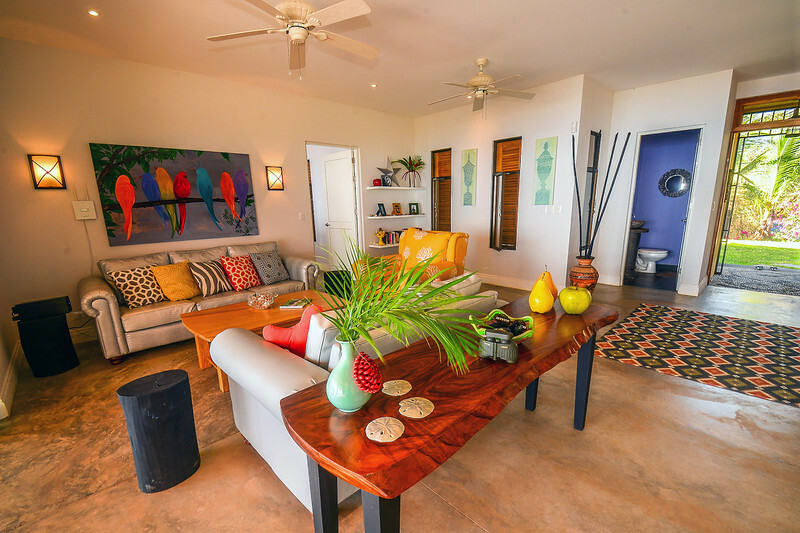 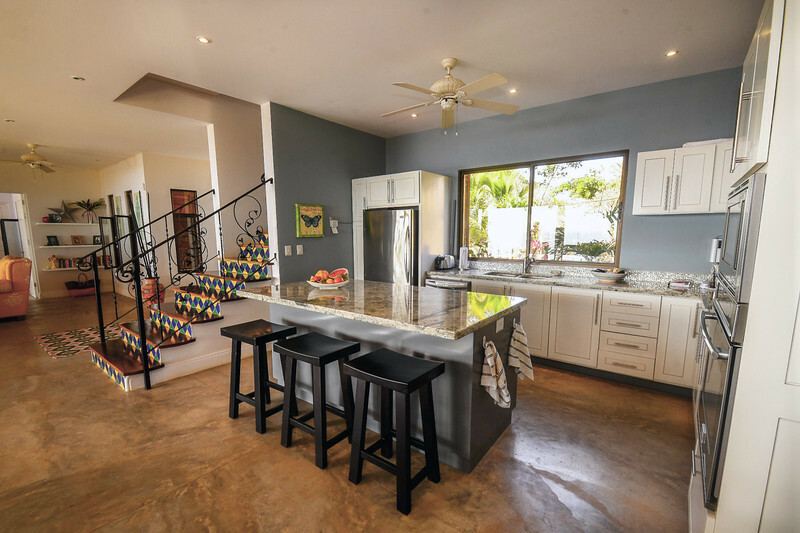 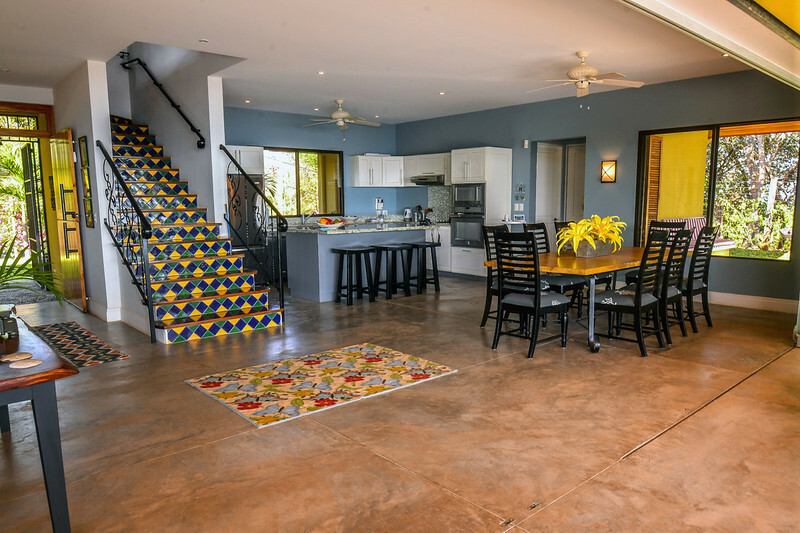 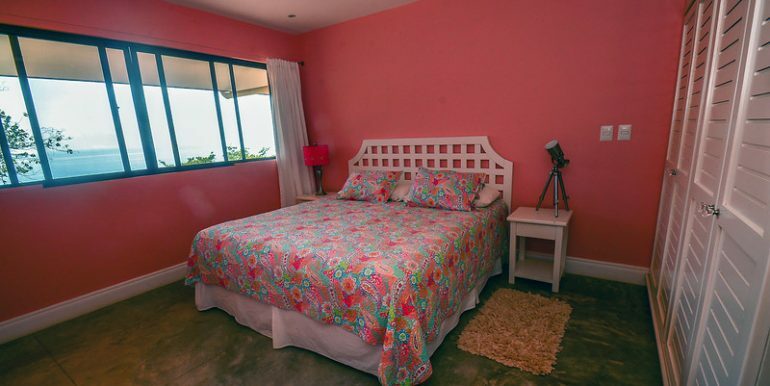 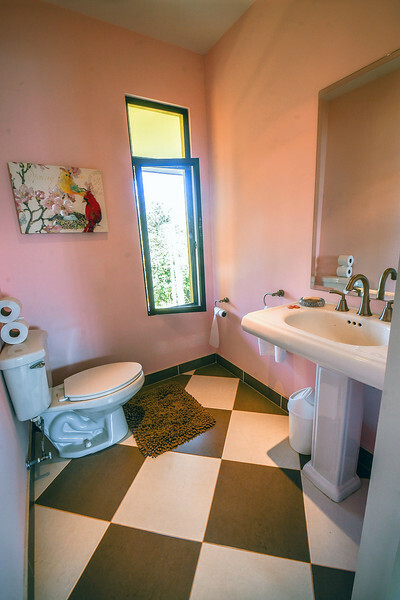 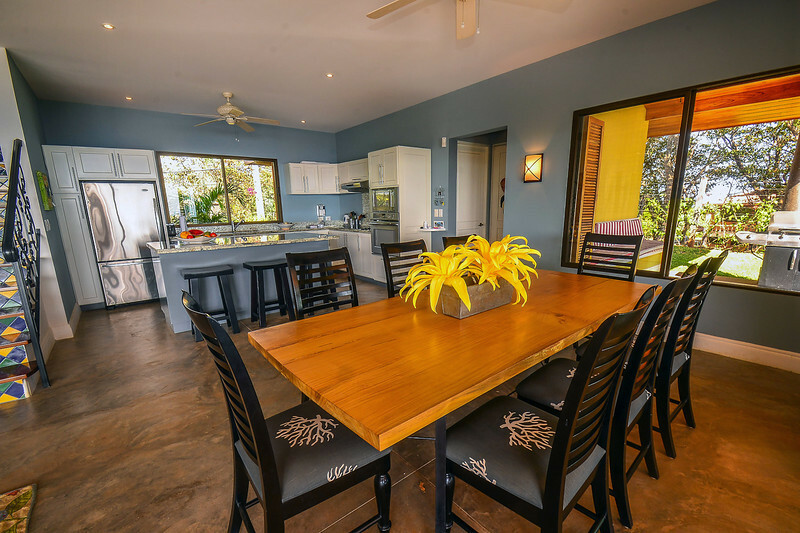 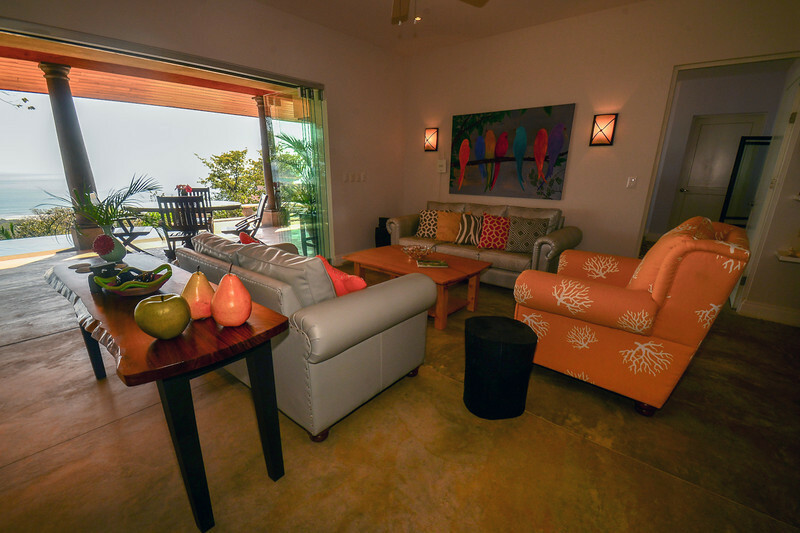 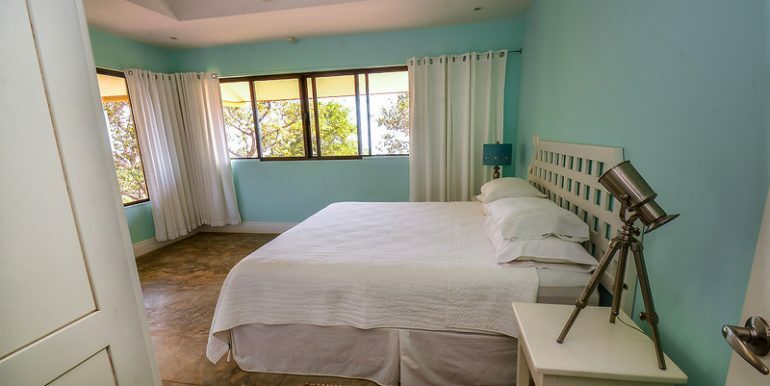 Only a nine minute drive to the surf and restaurants, Las Huacas is a prime location, with comfortable temperatures, and an abundance of natural beauty and privacy. 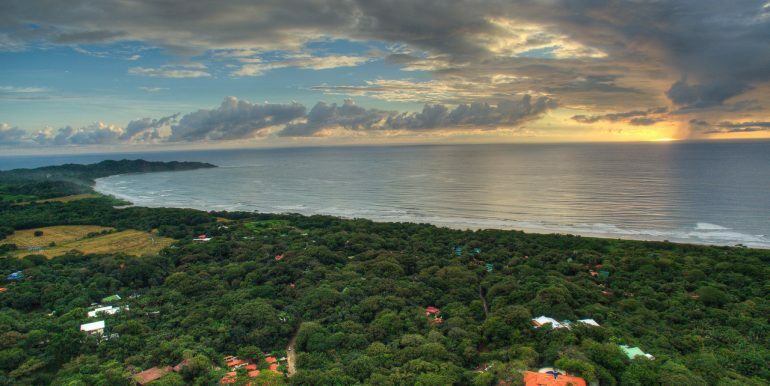 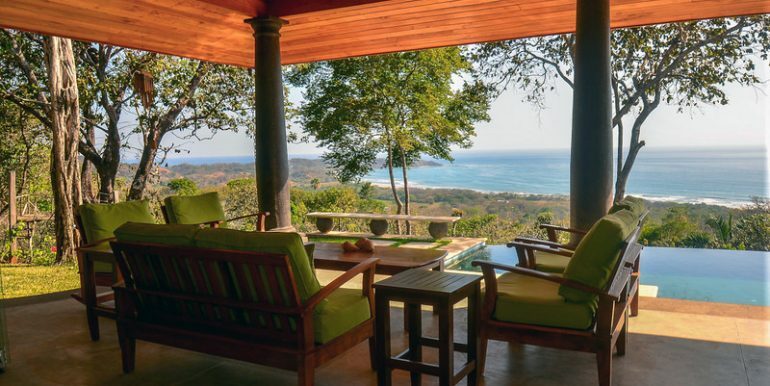 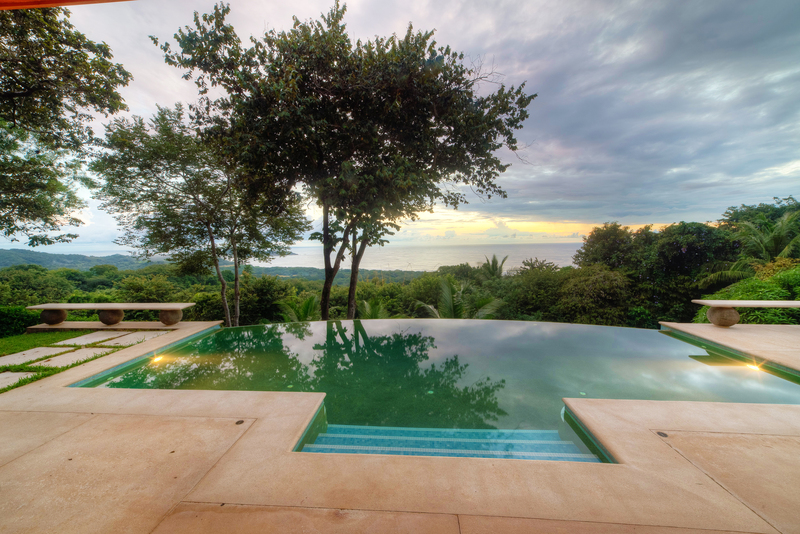 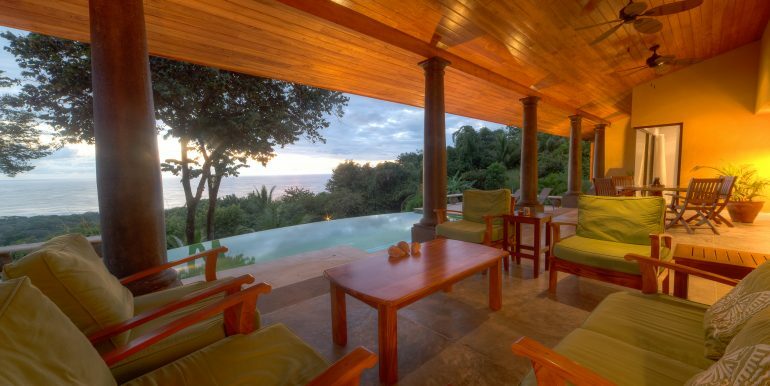 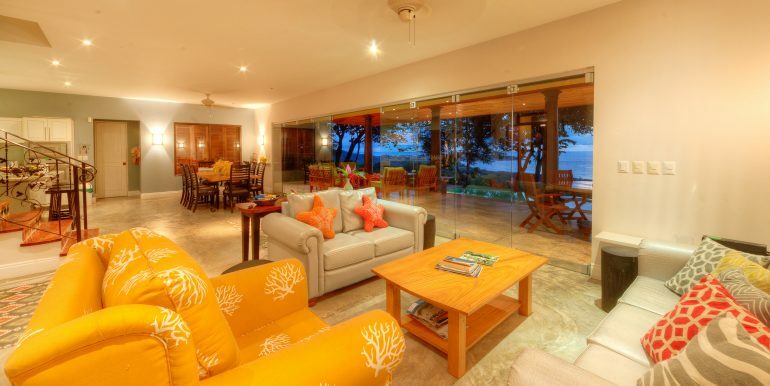 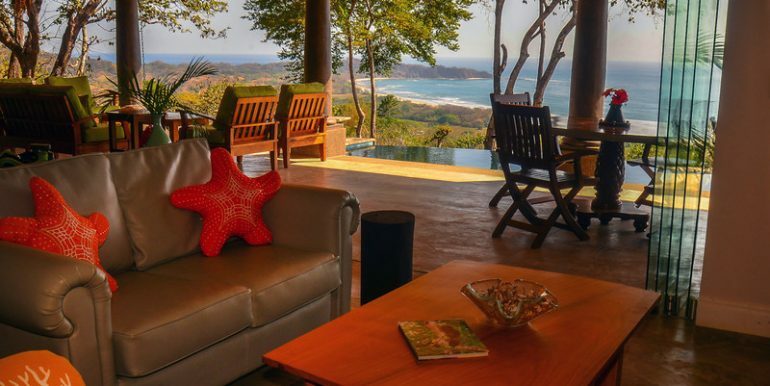 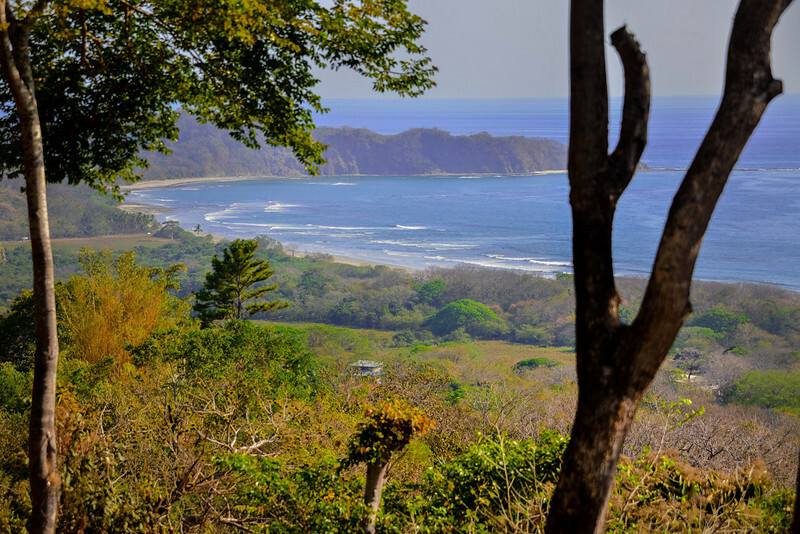 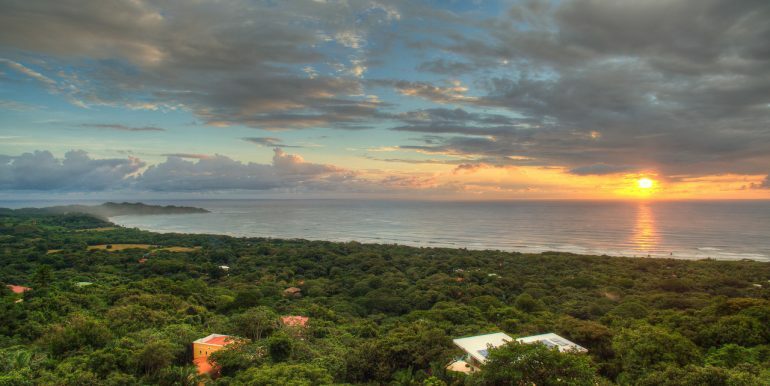 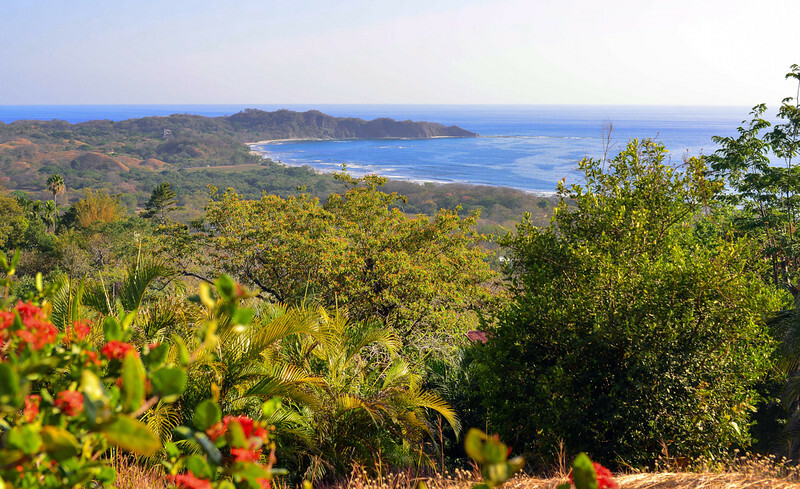 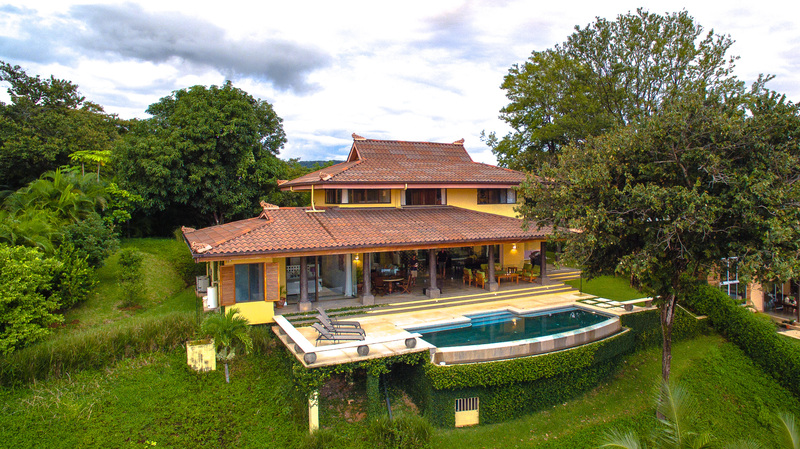 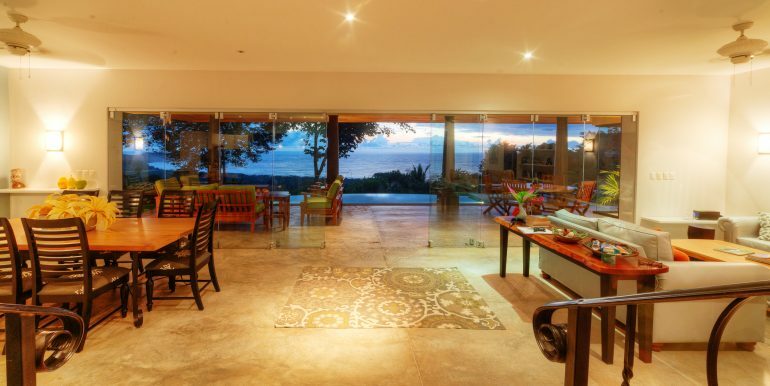 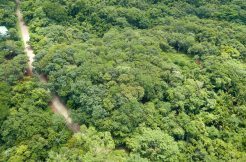 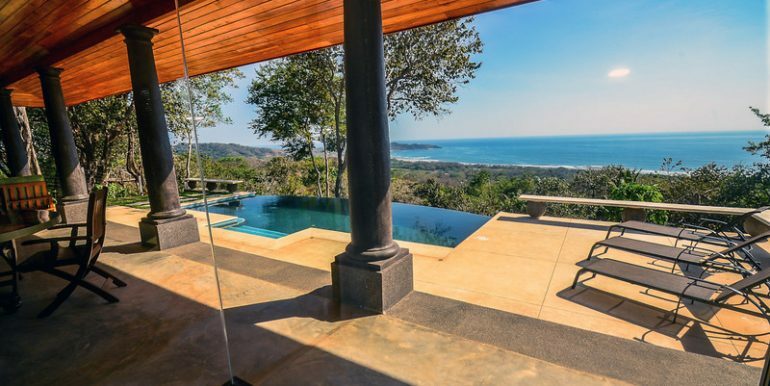 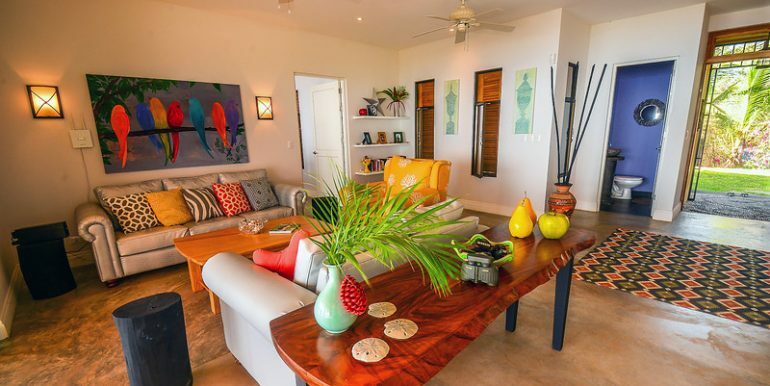 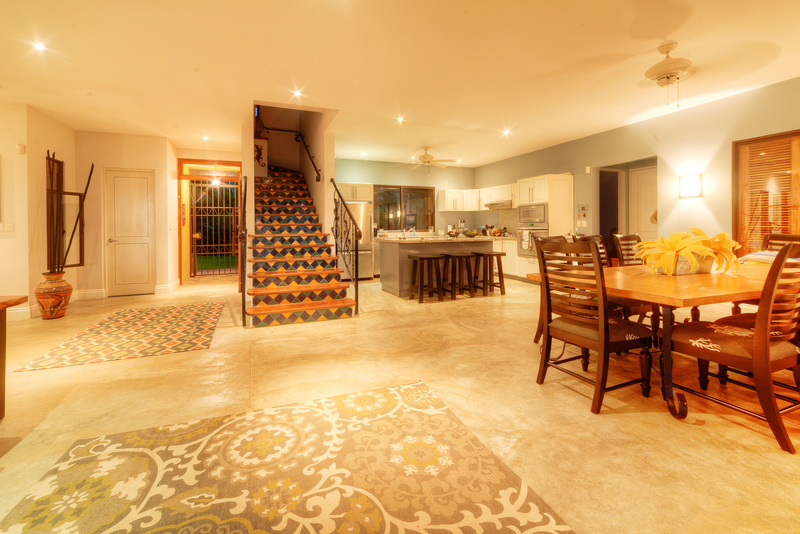 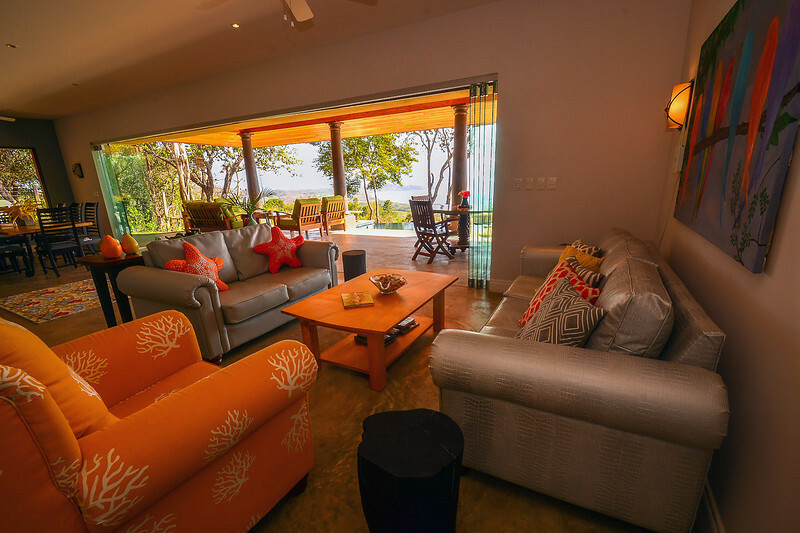 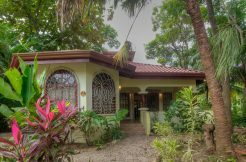 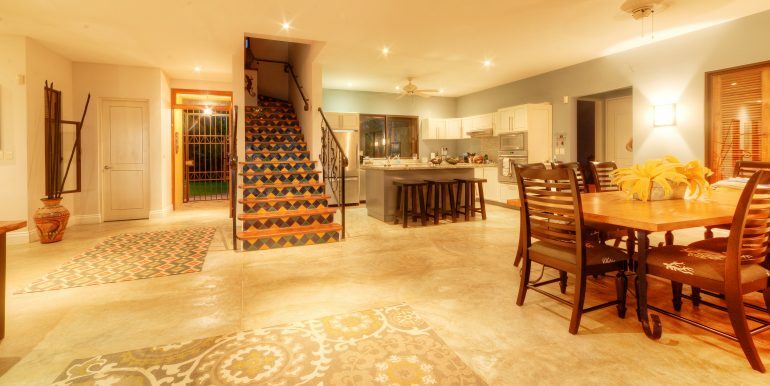 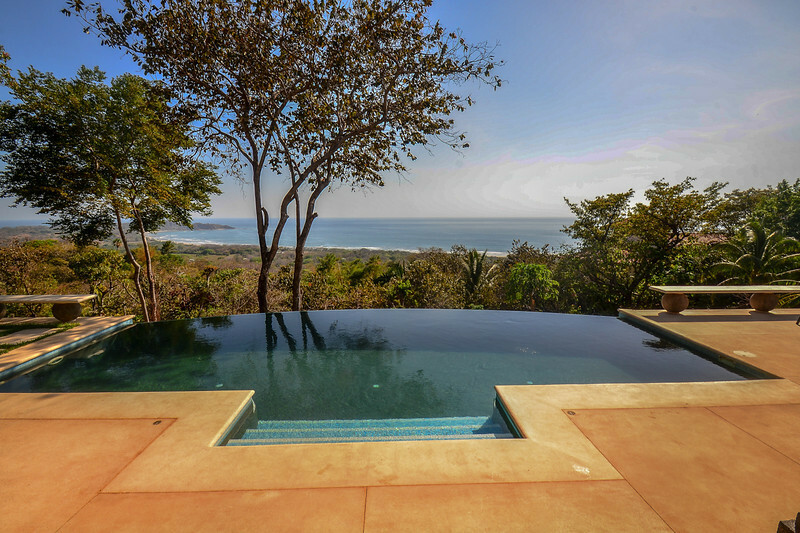 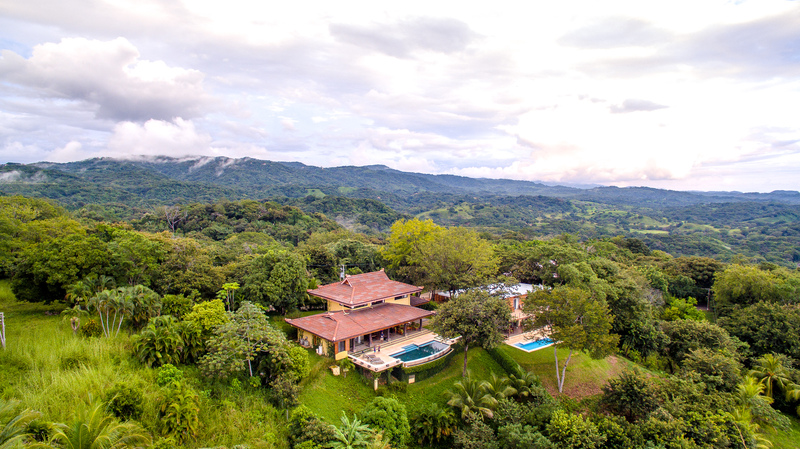 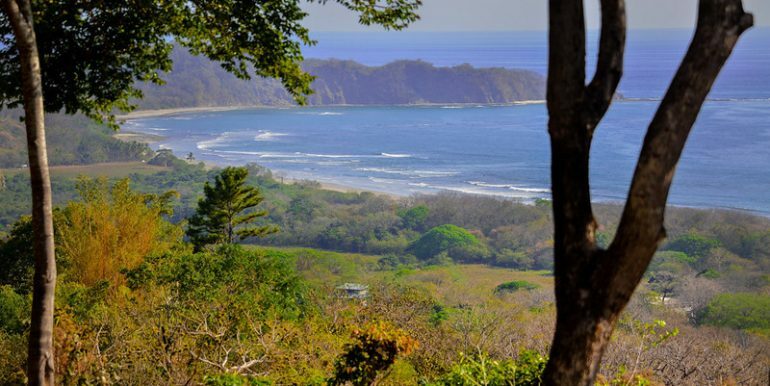 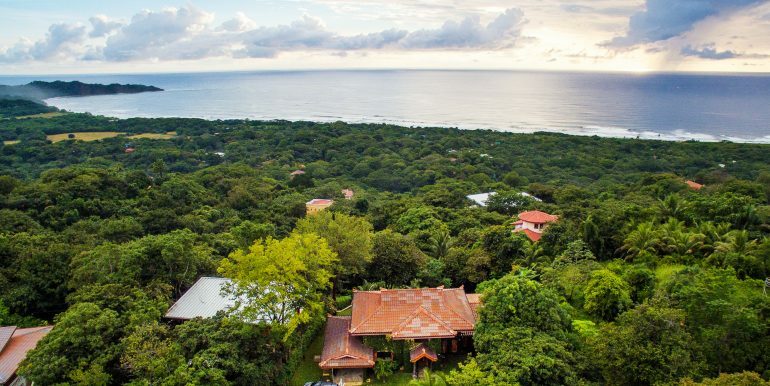 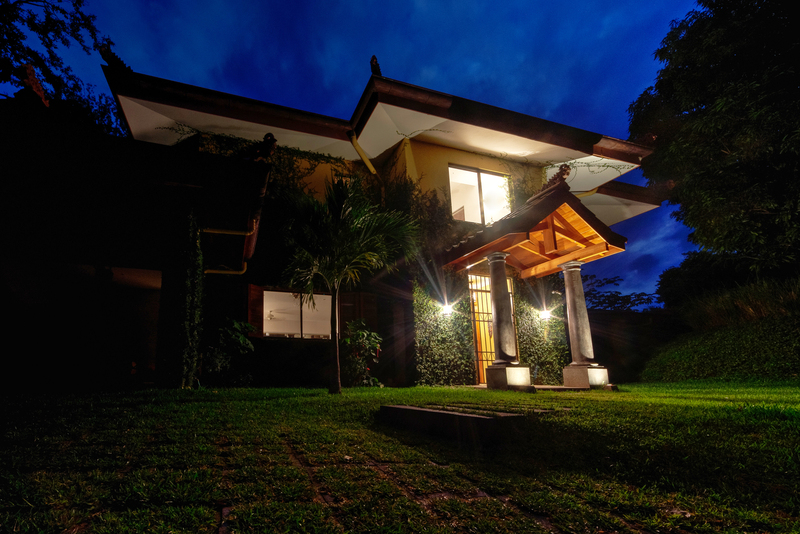 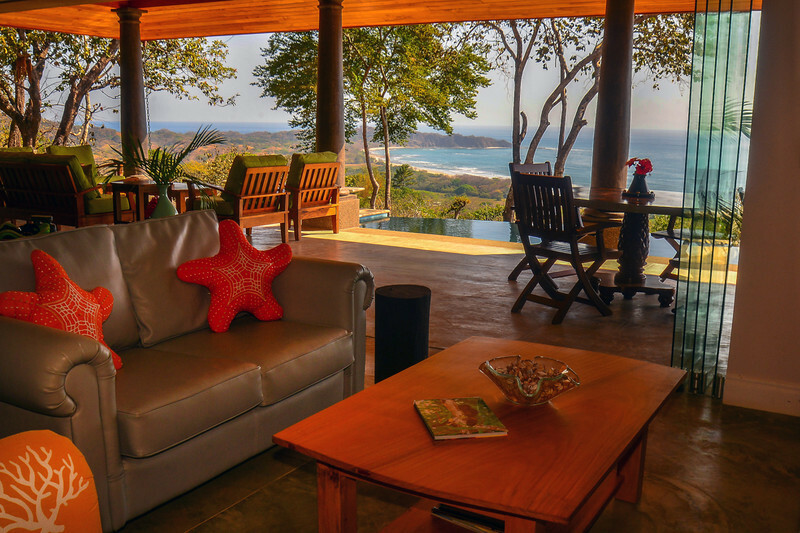 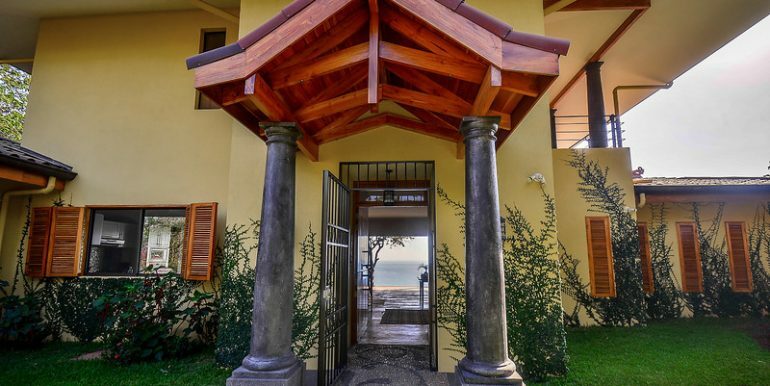 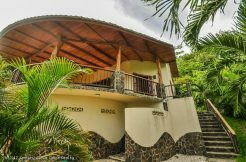 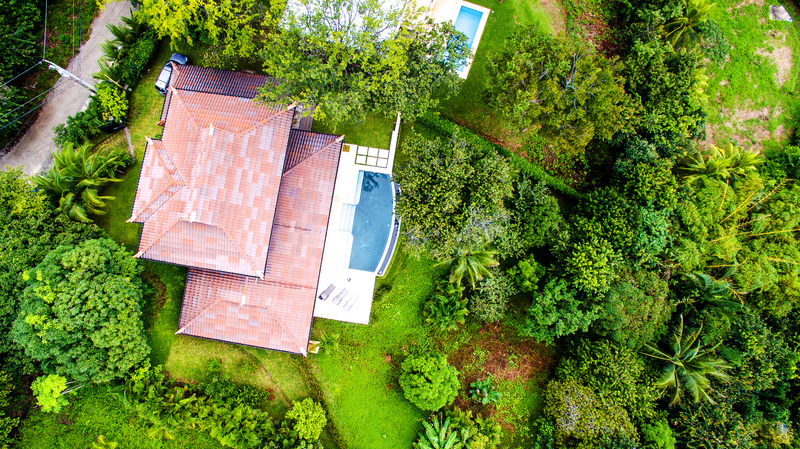 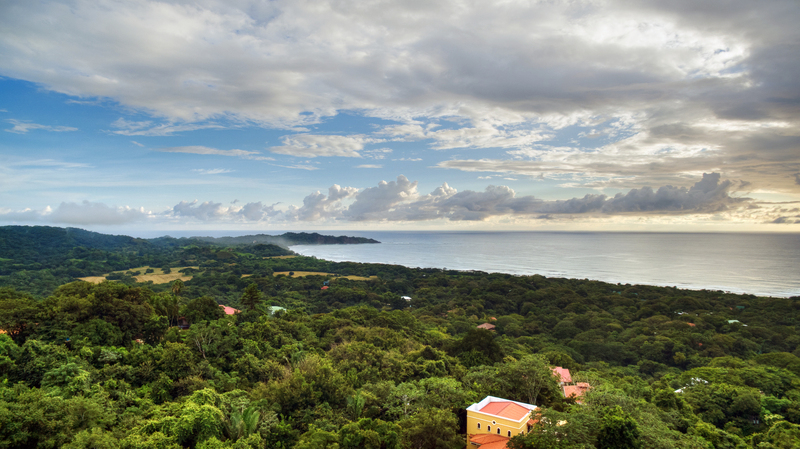 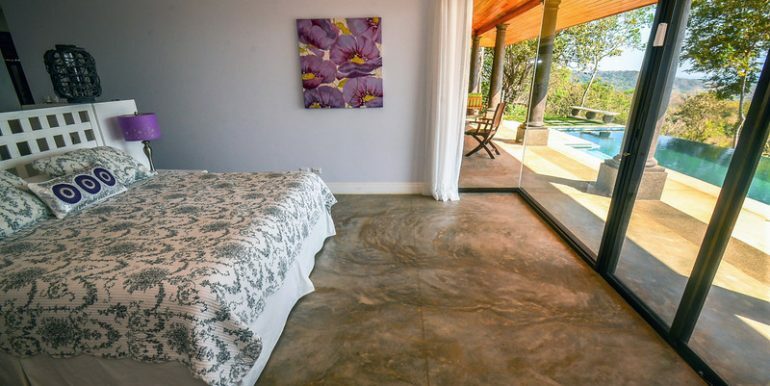 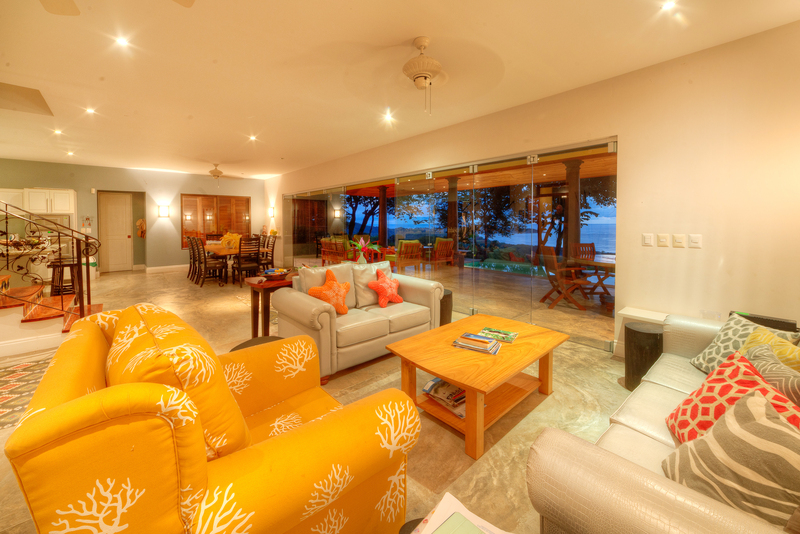 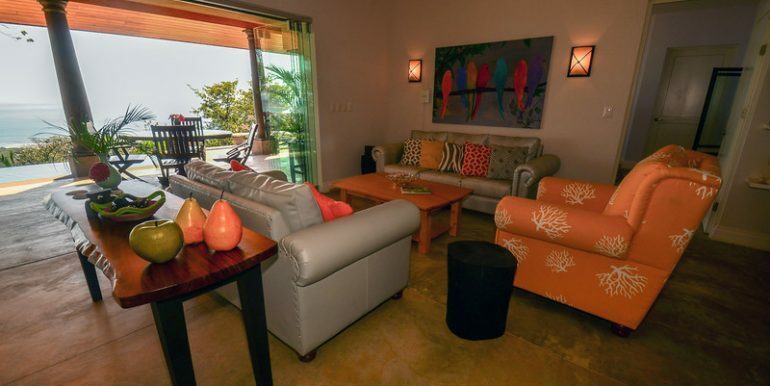 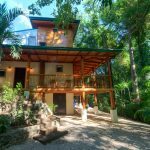 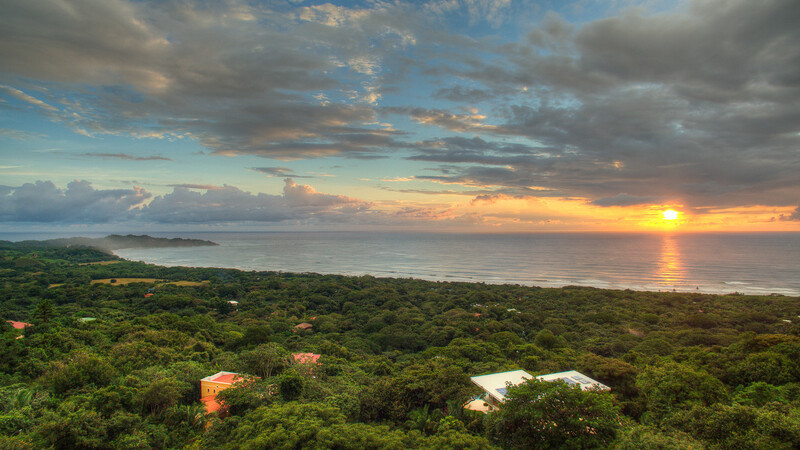 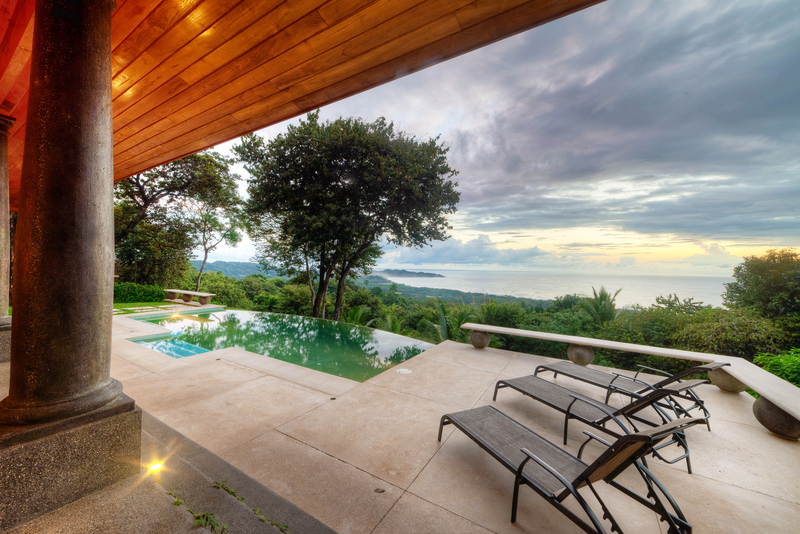 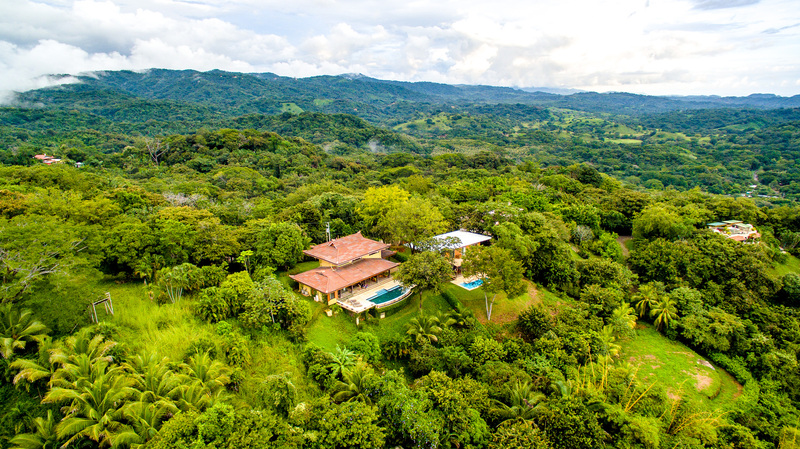 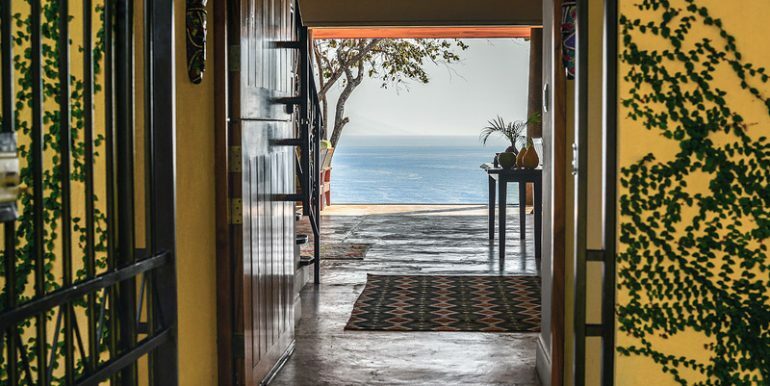 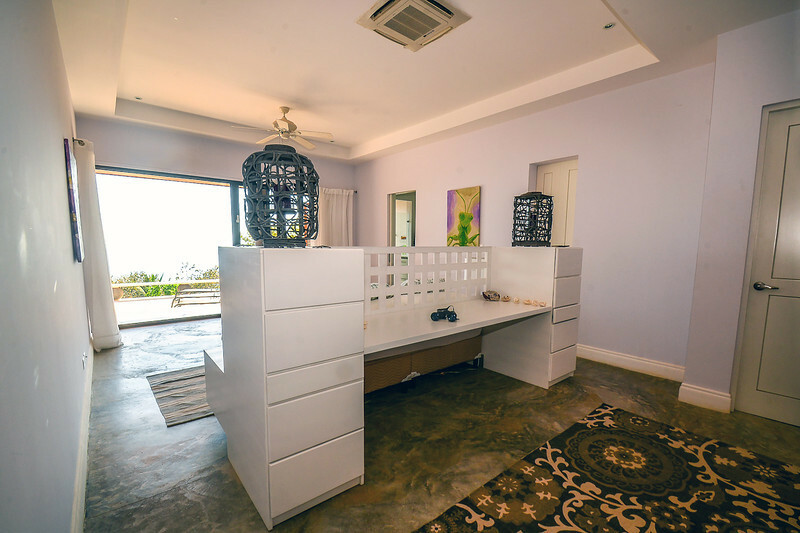 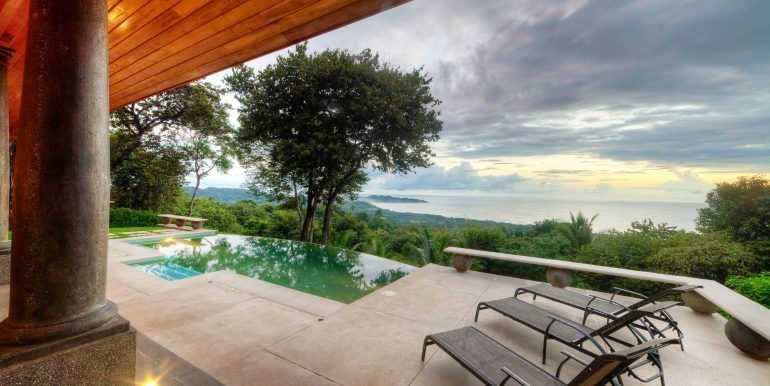 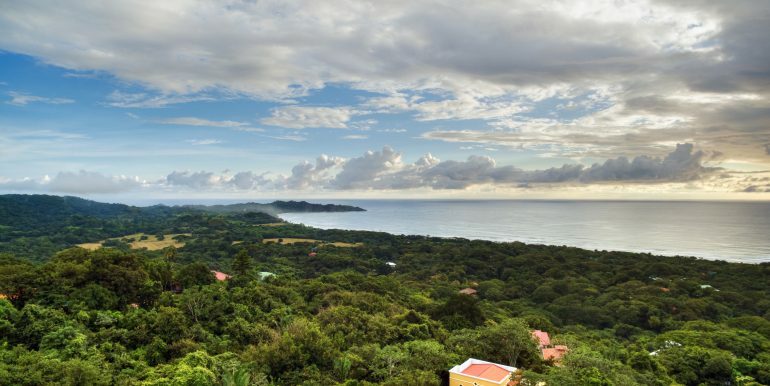 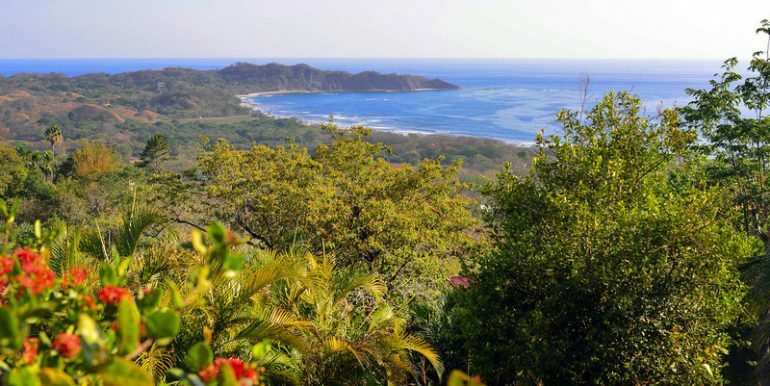 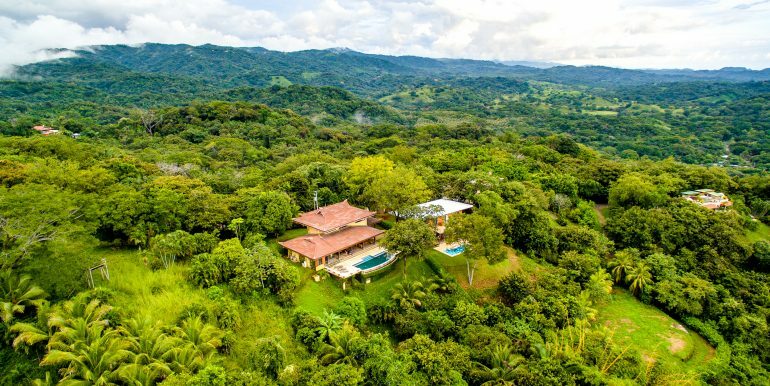 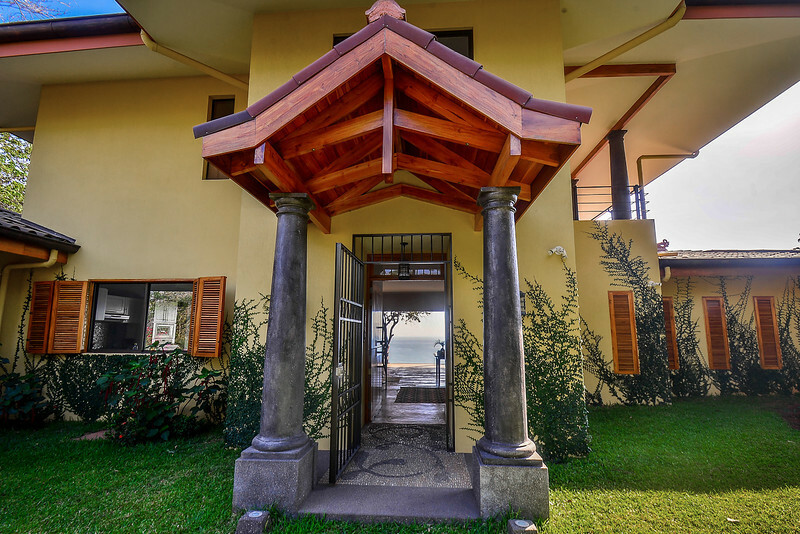 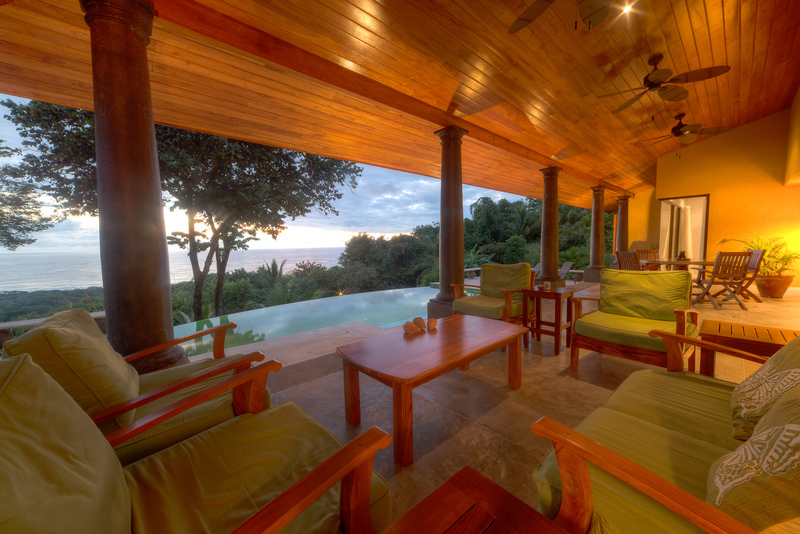 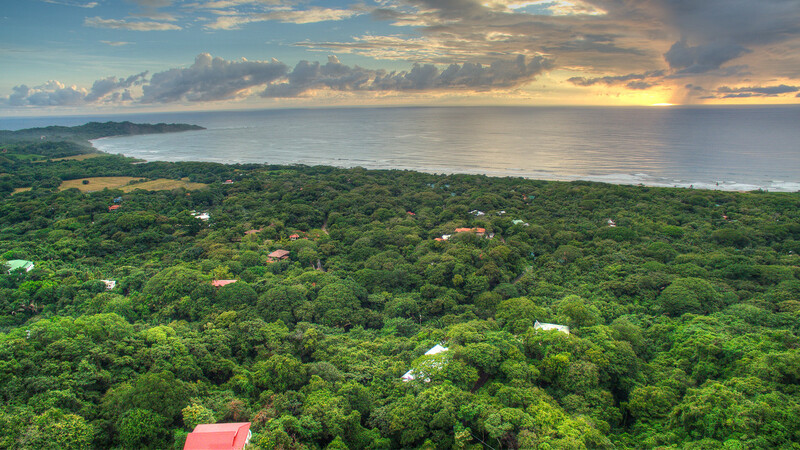 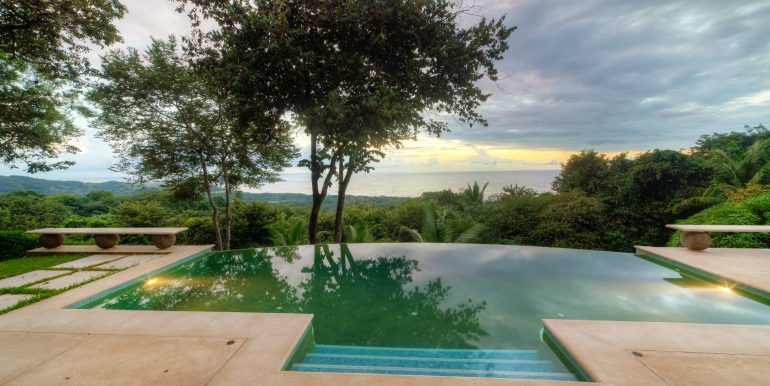 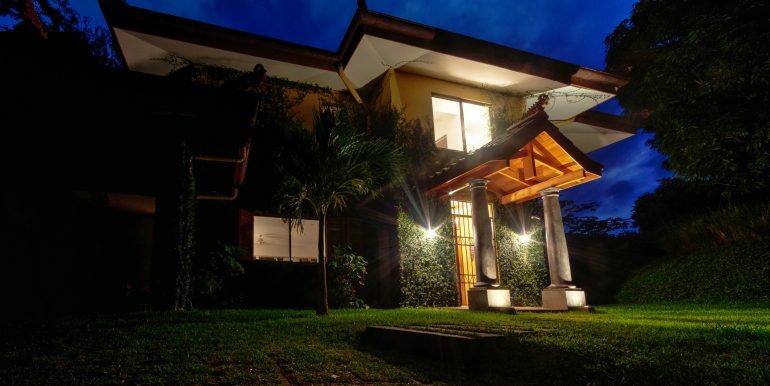 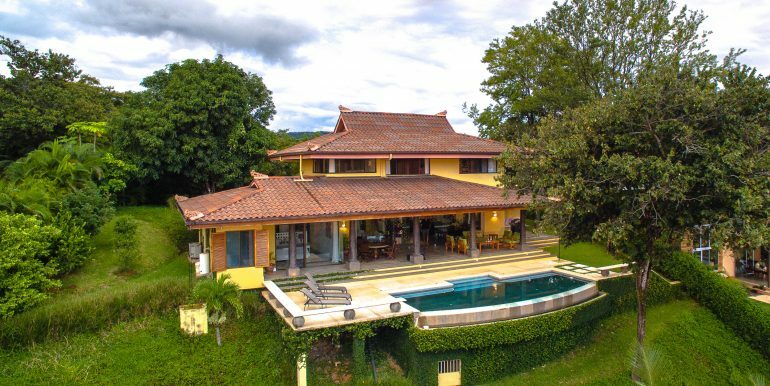 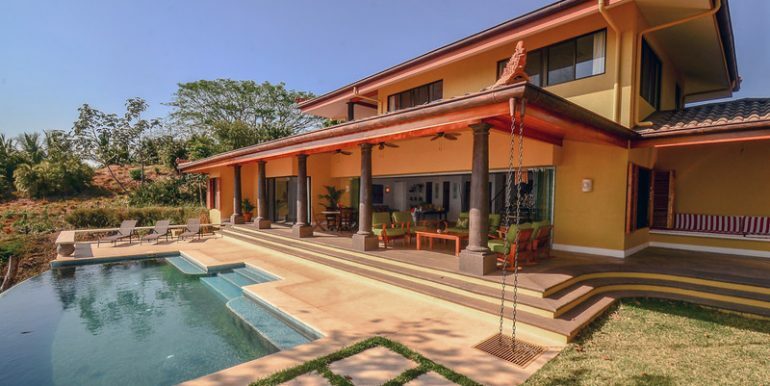 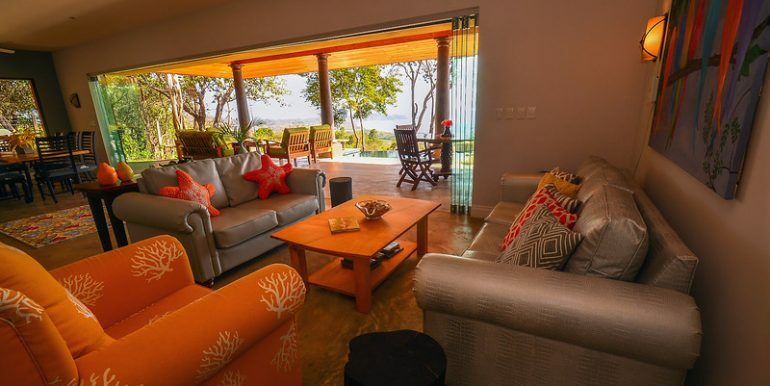 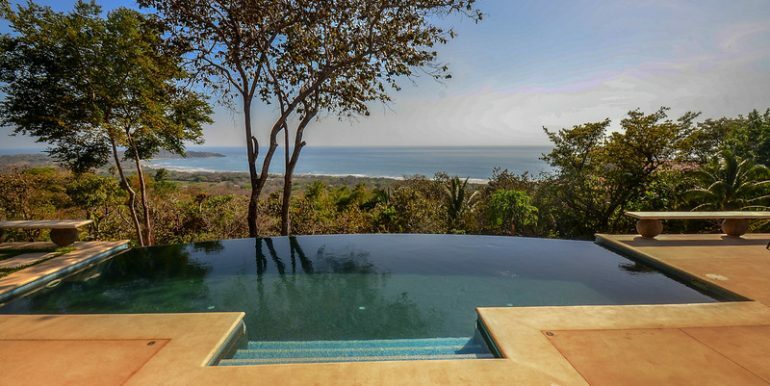 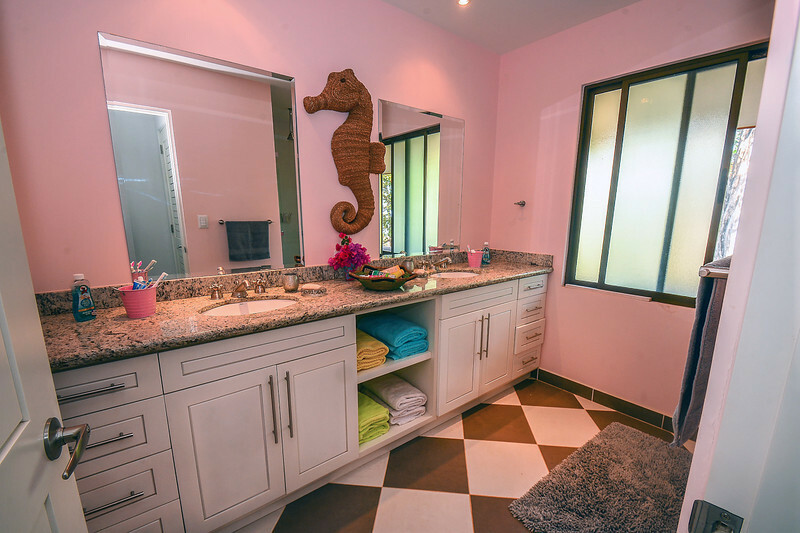 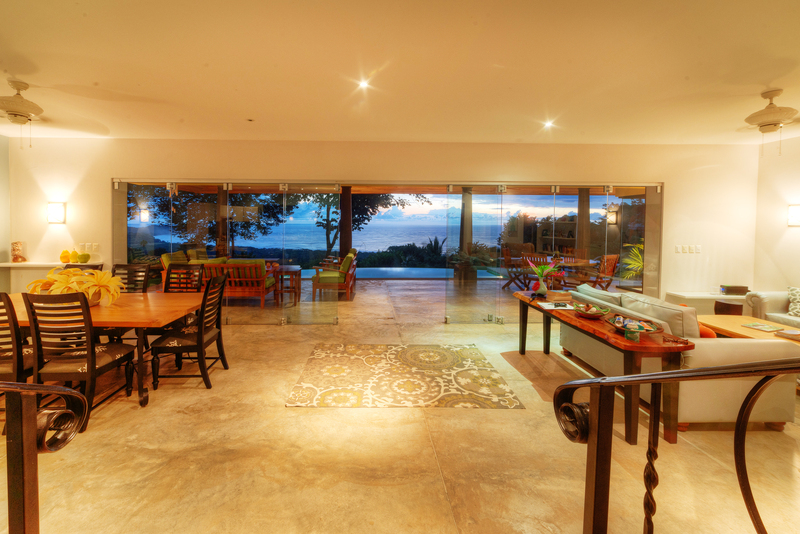 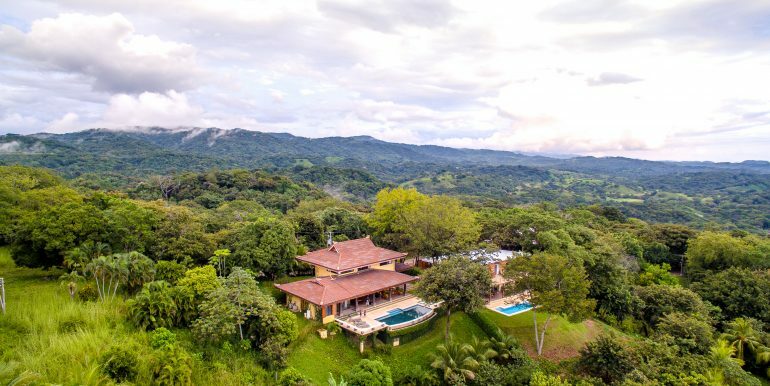 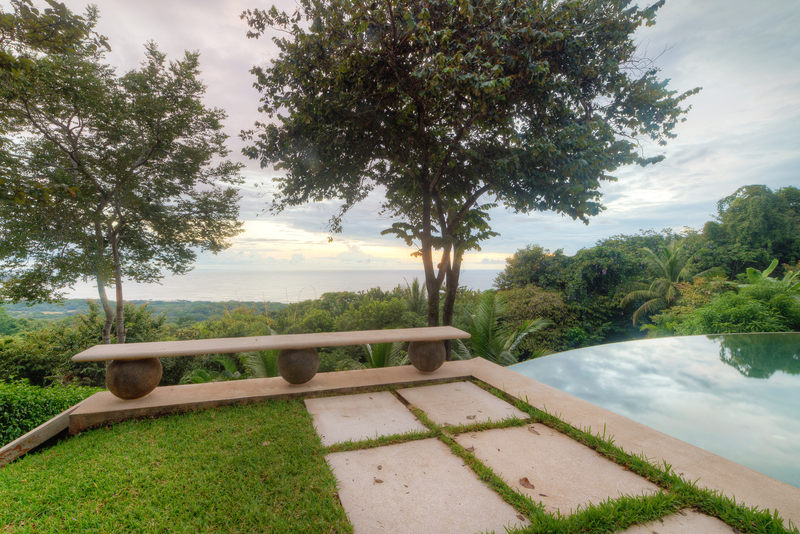 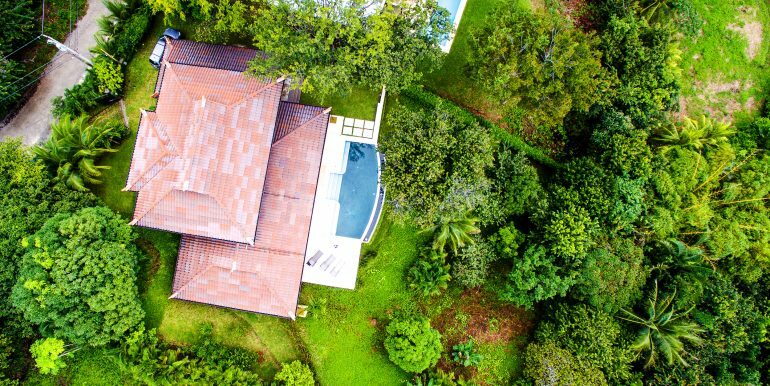 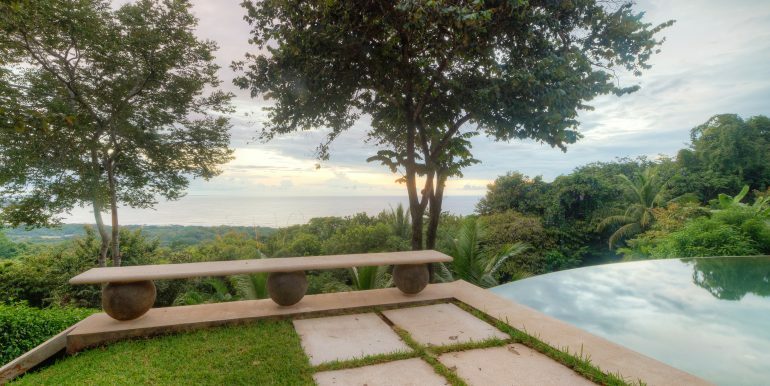 This home can turn your Costa Rica fantasy into living the dream, your very own Shangri La!